my dream dress | kensfolk. This weekend, I was pretty much plastered on a twin size bed, drugged up on cold medicine. Eventful, I know. But I did go to Ikea for the first time in my life. Needless to say, I was a kid in a candy store. (Except, I guess that phrase doesn’t really work for me since I would be equally excited to be in a candy store.) 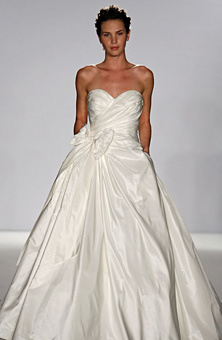 I don’t feel very outgoing today, so really I just wanted to show you my dream wedding dress. and yes, it has pockets. I’m in love.